Darby Costello is a counseling astrologer, author, and public speaker. 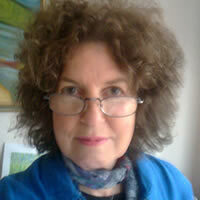 In 1988 she began teaching at the Centre for Psychological Astrology, founded by Liz Greene and Howard Sasportas. Darby is an instructor for the Faculty of Astrological Studies, Astrology University, the Mercury Internet School of Psychological Astrology, and The London School of Astrology. In 2013 she received the Charles Harvey Award for Exceptional Service to Astrology.